After seven years and millions of dollars, Bill Gates says his foundation is perhaps not even a quarter of the way towards its goal of improving teacher quality, but he’s doubling down on the effort. In his first major education speech in eight years, Gates said that he believes that he is “working on the right problem.” That problem, he said, is teachers who are unprepared, unsupported and ineffective – especially in low-income schools. Gates said that evidence showed that a good teacher could dramatically improve learning, and argued that top-quality teachers “would completely close the income inequity of learning in the entire country” if they were in place for three years nationwide. Since 1999, the Gates Foundation has spent $980 million on improving teacher effectiveness, according to a foundation spokeswoman. Gates praised his foundation’s first U.S. education initiative, which spent $2 billion to help create small high schools. Gates said that he still believes that small schools improve learning, but that the shift in emphasis to teacher quality in 2008 had produced more systemic results, even though the change of course left educators disappointed and some fledgling schools suddenly without funding. Although some education reform advocates appreciated the kind words for charter schools that were sprinkled through both Bill and Melinda Gates’s remarks, they said there wasn’t solid evidence to back Gates claims that teacher improvement would help significantly improve education for low-income students. In a subtle shift in the teacher evaluation debate, Gates seemed careful not to use language that has provoked teacher backlash against the reform movement. He never spoke of a need to fire “bad” teachers, and he said that test scores, while a “key outcome,” were only one way to measure teacher quality. Gates began his speech paying homage to Lyon Terry, a Seattle fourth-grade teacher who was Washington state’s 2015 teacher of the year. But Gates never mentioned teachers unions, nor did he mention the fact that Terry was a strike captain during last month’s strike by his union, the Seattle Education Association, which was one of the biggest strikes in the past decade. In addition to lowering class size and extending the school day, that strike got rid of a teacher evaluation system that had been using student test scores to rate teachers. 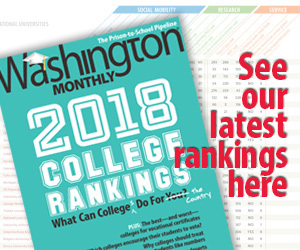 Gates singled out three places as evidence that the focus on teacher quality was bringing in big results – Denver, Washington, D.C., and Kentucky. “I am confident that we have the solution: effective teaching, and our growing knowledge about what it is and how to spread it,” Gates said. Knapp, like others, disputed whether the results in Denver were ones worth emulating (the district relies on merit pay), and whether they were tied to the reforms Gates was touting. The National Education Association, the nation’s largest teachers union, released a statement cautioning that student needs “both inside and outside the school building” must be addressed, if education is to be substantially and systemically improved. This story was produced byÂ The Hechinger Report,Â a nonprofit, independent news organization focused on inequality and innovation in education. Read more aboutÂ teacher training.